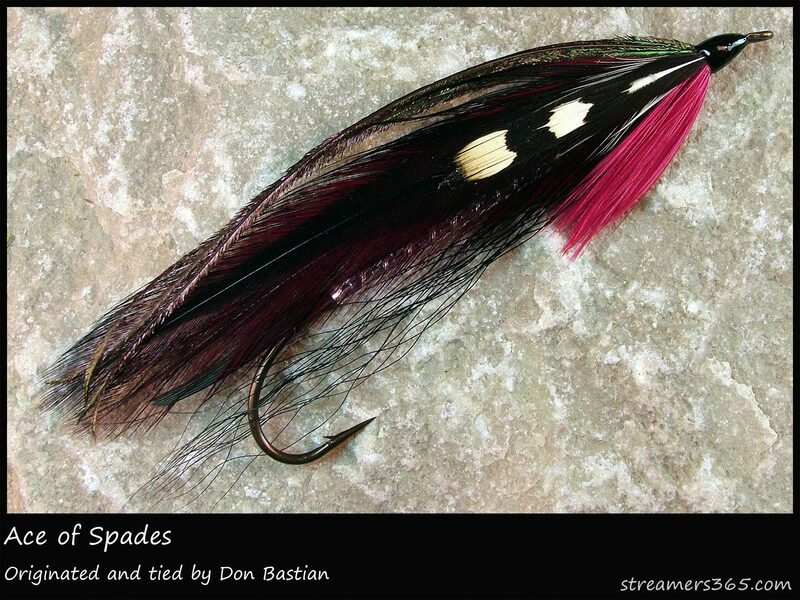 This entry was posted in Fly Pattern Recipes, Streamers and Bucktails and tagged Ace-of-Spades, Dan Legere, Donald A. Wilson, Streamers365.com. Beautiful streamer! Hard to beat black and red and that green peacock on top just ices the cake! I’m glad you like that combination of color and materials. Yeah, it had to have the peacock herl topping. Thanks for your compliments on the streamer! Appreciate it! I really like the simplicity of this fly! Also, it has lots of “baitfish appeal” to my eye with the prominent red in the throat.